Every advisor will tell you that guiding investors through turbulent markets is one of the fundamental ways they can add value. Yet the results of a new study, which was carried out amid the December volatility, serve a stark reminder that many money managers are not doing enough to explain and educate clients about how their money is performing. According to the J.D. Power 2019 Canada Full Service Investor Satisfaction Study, for the first time since the 2008 financial crisis customer satisfaction has decreased, dropping from 785 (on a 1,000-point scale) to 778. The study revealed that 32% of investors polled said their advisor did not take the time to explain their portfolio performance during the past year. Investors not receiving an advisor explanation are almost twice as likely as those who receive an explanation (36% v 19%) to indicate that their financial performance was “worse than expected” and were significantly less satisfied with both performance and their advisor. The largest decline in performance satisfaction was among affluent investors with assets greater than $500,000, dropping 38 points year over year. More than a quarter of affluent investors indicate performance was “worse than expected”, with 16% of this group planning to decrease their investments during the next 12 months. Only 4% of affluent investors said performance was “as expected” or “better than expected”. 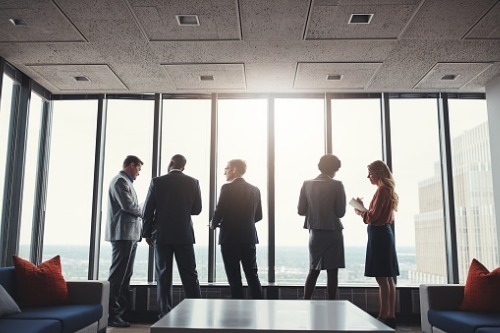 The report also ranked companies with a significant sample size of investors according to investor satisfaction levels, with Edward Jones topping the table for the seventh year running. Mike Foy, senior director of wealth intelligence at J.D. Power, told WP that, while the market had made up a lot ground since the December drop, it was the most volatile month at the end of a year where both US and Canada were down. The fact satisfaction with investment performance was down was, therefore, not a surprise. However, he said the study shone a light on how advisors can mitigate declines when the markets are working against them. He said: “Having frequent communication, being very responsive when clients call or have questions, and then specifically having conversations that provide that critical transparency on things like performance. “When portfolio are up and everyone is doing great, that’s a conversation as an advisor that you want to have. Maybe when your client portfolios aren’t looking so great, the instinct is going to be to delay that or shy away from having that tough conversation with clients. Foy said that this is an indicator of complacency among investors after the extended bull run we have all enjoyed. If the returns are good, there is less tendency to question the value of what you are getting when it comes to fees and performance. With the much-talked about CRM2 now fully entrenched in the industry and “transparency” a watch word, almost a third of investors (31%) surveyed said they still don’t have complete understanding of fees, down only slightly from 32% last year. Power said that, in general, CRM2 has not made much of a difference and that there remains a huge opportunity for advisors to distinguish themselves. Another key takeaway from the study was how important mobile interaction was among millennial investors. It revealed that while among boomers and pre-boomers, just 29% interacted with their investment firm via their cell phone, that number jumped to 68% among millennials and younger investors. The millennial mobile usage skewed more towards phone usage than tablet, suggesting firms need to ensure their mobile apps are evolving to meet the different needs and expectations of the younger generation. The study measured overall investor satisfaction with full-service investment firms in eight factors (in order of importance): financial advisor; firm interaction; account information; information resources; product offerings; investment performance; commissions and fees; and problem resolution. It was based on responses from 3,947 investors from November 2018 through January 2019.